Recorded At – Avast! Recording Co.
Mixed At – Avast! Recording Co.
Seattle, WA - Jan/Feb 2005. I love these guys. They are the sound at the core of my soul. This is a great album for fans of old-school, raw psychedelia. 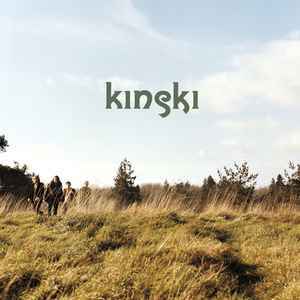 Kinski are sound purists. No digital effects are employed. This is stripped down analog sound- you may be unfamiliar with that concept. There is nothing overproduced or pretentious about this album. The tracks, sonically, are not less than a landing 747 flying 150 feet directly over your head. Don't buy this album if that idea doesn't appeal to you. I got to see them live and they were every bit as good as their disk. Kinski ROCKS! - finally, also to announce an influence King Crimson (first album) on a nice title with flute and felted atmosphere: "All Your Kids Have Turned to Static".